My copy is translucent. Are all of the US copies this way or no? Mine has an X behind both matrix numbers. Is that just variation 2 or am I wrong? I have the original copy. This needs a remaster asap! Most of the other Cocteau Twins albums have been remastered and reissued in the past couple of years. Why not this? It's arguably the album that needs it the most! This album is like my soul put to vinyl or cd. I absolutely adore the sound and mood of The Moon and The Melodies. Rarely i can find music of such closeness to my taste and my mentality. Aside from my perspective it is just beautiful music that takes you in places faaaar away from reality while still being grown out of reality. it's hard to articulate the power of this album. 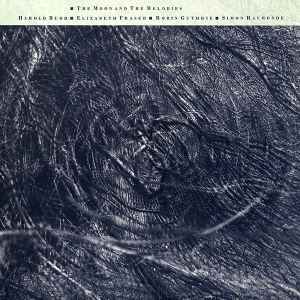 So i will simply say that this collaboration between Harold Budd and Cocteau Twins gave birth to something i would simply call a miracle.